The Detroit Pistons may have lost, not only Game 1 against the Bucks but also their all-star forward Blake Griffin. Blake Griffin who sat out the series opener is likely to also miss the remainder of the first round due to a left knee injury. Griffin will be listed as day-to-day for the remainder of the series. “I have to do what our organization, our training staff, our doctors think is best – and that’s the bottom line,” Griffin said postgame. The Pistons started Thon Maker in Griffin’s place on Sunday, and Maker finished with four points and four rebounds in 22 minutes, well short of the All-Star-level production that Griffin provides for the team. 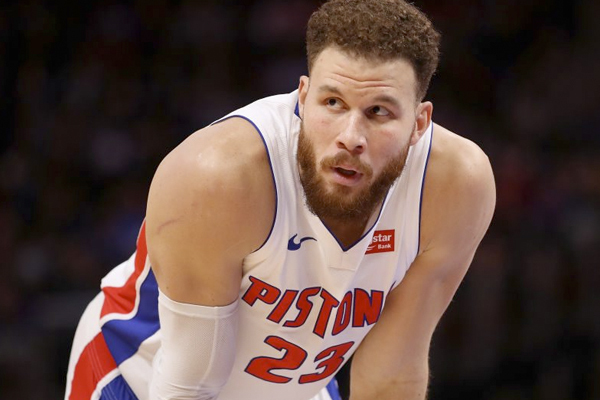 During the season, Griffin appeared in 75 games for the Pistons and averaged 24.5 points, 7.5 rebounds and 5.4 assists per performance while shooting 36.2 percent from long distance. The Pistons were always going to have a hard time against the top-seeded Bucks, but without Griffin, that becomes much harder. Game 2 is taking place Wednesday in Milwaukee.